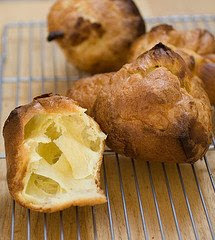 Popovers: If you've never had a popover before, it is a delicious hollow "puffed" roll, with a unique, light, eggy inside. Sadly, after I left home to go to college, I went many years without coming across a popover, until I discovered a fantastic, healthy, easy-to-make (with only four ingredients which is ideal for me since I'm not a skilled cook) recipe for making popovers in a friend's Betty Crocker Cookbook. This popover recipe (which is now available online) not only helps me make delicious popovers, but each one only has 100 calories and 1 gram of fat (2 weight watchers points total). 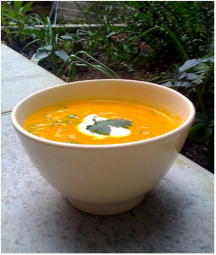 Carrot Soup: This carrot soup is extremely flavorful, healthy, and low calorie! It’s also pretty simple to make. The whole recipe adds up to about 620 calories. When dived into hearty 2 cup servings, each serving is approximately 150 calories (or 3 WW points, although if you use less oil, you could easily make it 2 WW points). The carrots themselves make the soup very creamy, but you might consider adding a dollop of fage yogurt or fat-free sour cream if you desire. Low Calorie Potato Skins: When I was growing up, my grandmother used to make the best potato skins. I later discovered that restaurants were serving them as well, although in a much greasier form. So, I created a more diet-friendly recipe for potato skins, based on what my grandmother used to make for me me. The points values here depend on the exact ingredients you use, how much of them you use, as well as the size of your potato. For me, it is 2 WW points for the potato itself (I don't eat the scooped out portion), 1 WW point for the sauce (makes it taste like low calorie pizza), 1 WW point for the slice of cheese, and 0 WW points for the green onion, for a total of 4 WW points for the potato skins. Cooking with Herbs: I used to think that low-fat, low calorie cooking was bland. Cooking while on my diet meant plain boneless, skinless chicken breasts and tiny naked baked potatoes. To be honest, my diets didn’t last very long. Then I started gardening. Poorly. In fact, the only things I could successfully grow were fresh herbs. I don’t garden any more, but my low-fat cooking has sure gotten a whole lot better! 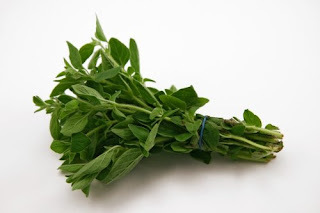 Herbs, both fresh and dried, are like magic for low fat cooking. Sesame Stir Fry: I came across this wonderful recipe for a Sesame Asparagus and Carrot Stir-Fry in a Mayo Clinic cookbook over 8 years ago. I still love it! 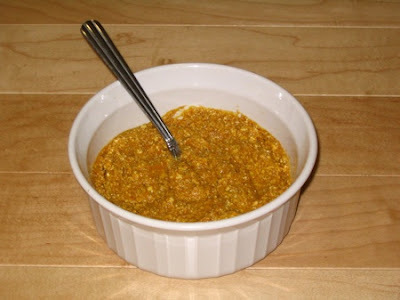 It is incredibly low calorie, super easy to make (I am not a very good cook), super filling, and it tastes great too! Each serving has 65 calories, 2 grams of fat, and 3 grams of fiber (so one weight watchers point!). Tofu with Peanut Sauce: I recently came across this Eating Well Recipe for Tofu with Peanut Ginger Sauce. I'm a big fan of peanut sauce, but I don't get to eat it very often since it is so high in calories and fat, so I was excited to try this recipe to see if it was any good. The results were fantastic -- the dish was really easy to make, was super yummy, and I plan to make it many more times in the future! Each serving is is 242 calories, or 6 WW points. Banana Bread: A wonderful delicious, wholesome low calorie banana bread recipe created by a fellow blogger! Each piece is only 60 calories, 1 gram of fat, and 1 gram of fiber (so 1 weight watchers point). There are tons of great ways to eat this bread as well! Low Calorie chocolate Souffle: I'm a huge fan of chocolate anything, which you've probably picked up if you ready my blog regularly. In particular, I love dark chocolate, since it both tastes good and is good for me (cocoa is full of antioxidants that promote low blood pressure and good heart health)! don't know how, but the Mayo Clinic managed to put together a recipe for Chocolate Souffles that is so yummy that you could probably feed it to your friends without them realizing how low calorie it is (it is only 184 calories with a small side of raspberries, or 3 weight watchers points). 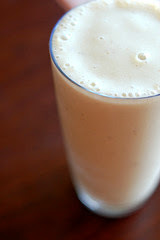 Banana Smoothie: Use my recipe to make a low calorie, healthy, banana smoothie that doesn't require any mixes, anything unnatural, or anything artificial. This recipe is about 160 calories (3-4 WW Points), depending on how big of a banana you use. It also can be made with just half of the banana for a lower calorie, smaller, snack. 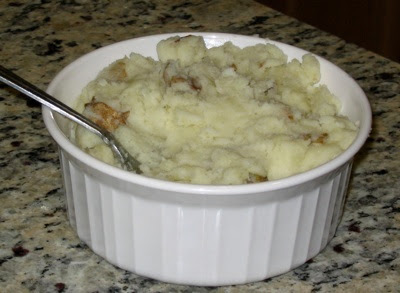 Low Calorie Stuffing: In the spirit of the holidays, I thought that I'd blog today about stuffing. 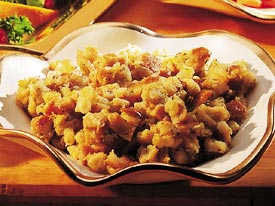 Luckily, there is a great recipe for a "Lighter Bread Stuffing" in my Betty Crocker cookbook. I've changed it a bit, in order to make the recipe both vegetarian (so no need for a turkey!) and to reduce the calories (and increase the fiber) a bit more. Depending on what bread you use, this recipe will come out to approximately 160 calories per serving, with 3 grams of fiber, and 2.5 grams of fat (or 3 weight watchers points). Low Calorie Quesadilla: This is a quick and easy recipe for low calorie & low fat quesadillas that leverages a few of the foods I've blogged about in the past few months. I make quesadillas this way at least once a week for dinner, as I find them incredibly satisfying and as good as if not better than getting a quesadilla in a Mexican restaurant (and definitely better for you). The recipe comes out to 5 weight watchers points (if you use the La Tortilla Factory low calorie tortillas), or about 300 calories. Low Calorie Egg Nog: I decided to try to make my own low calorie egg nog (with no artificial sweeteners of course)! And, I am pleased to report that it actually turned out pretty good! It is very easy to make and each serving (a full cup) comes out to 83 calories with 3 grams of fat, and 1 gram of fiber (so only 2 weight watchers points). 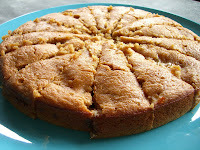 Ricotta Pumpkin Dessert: I thought today in honor of the holidays I'd post a recipe for ricotta-pumpkin pudding. Pumpkin is another great low calorie food (a 1/2 cup serving is 50 calories, 0 grams of fat, 4 grams of fiber, and 1 gram of protein -- so 0 weight watchers points), and if you like it you will surely like this recipe (and if you don't like pumpkin, you should pass on this recipe and play around with just the ricotta cheese, since the pudding is thick and has a strong pumpkin flavor). This recipe has 140 calories, 0 grams of fat, 4 grams of fiber, and 7 grams of protein -- so it is a very filling, rich, 2 weight watchers points. Low Calorie Pancakes: I’ve been trying to create low calorie versions of my favorite treats, and recently I’ve turned to one of my favorite breakfast treats: pancakes. I started with a classic buttermilk pancake recipe, and then just trimmed calories wherever I thought I could without affecting taste or consistency too much. I made a classic batch and a low calorie batch back to back, and was pleasantly surprised by the results. The low calorie pancakes tasted identical to the classic pancakes but were *significantly* fewer calories and fat. 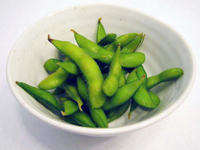 Edamame: I love eating edamame (it is high in protein, as well as vitamin A, vitamin C, calcium and iron), although I usually avoid ordering it as an appetizer at a Japanese restaurant because it is so expensive. The price is really pretty ridiculous considering how easy it is to buy and make edamame on your own at home! Also, when you make edamame at home, you can control the salt content, which is a huge added benefit to anyone watching their salt intake. 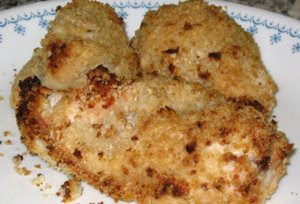 Yogurt Fried Chicken: The key to delicious low-calorie chicken is baking instead of frying, thus allowing you to avoid saturating a healthy high-protein chicken breast with tons of fat. Don’t worry, if done right baked chicken is just as yummy as fried. All fried chicken recipes have three basic steps: (1) coat the chicken in a sticky binding, (2) then coat the chicken in breading, and finally (3) cook. English Muffin Lunch Ideas: I always loved English muffins as a kid, but I've steered clear of them through many years of dieting and watching my weight, because I always assumed they were high calorie like other white colored breads that I knew I needed to avoid. Having done a little research, I've found that English Muffins generally range from 1-3 WW points (100-180 calories) depending on the brand. 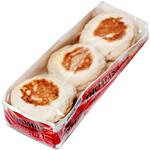 English muffins actually make a delicious bread substitution for any diet, and are great to eat as part of any low calorie breakfast, low calorie lunch (or even snack). 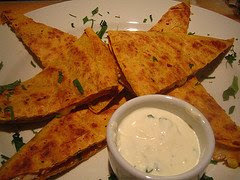 Tortilla Pizza: I love pizza, but pizza crust made out of the usual ingredients is really high in calories. So, I use these tortillas instead! You can follow a similar recipe as I described in the posting on potato skins, and add some regular onion, or your other favorite fresh vegetables and herbs and spices and top with a serving of turkey pepperoni, for a really great, yummy, filling, low calorie pizza! Low Calorie Bananas Foster (Bananas with Caramel Sauce): I am a huge fan of dessert, and I think one of my biggest weaknesses on dessert menus is caramel sauce. I've recently taken to cooking my fruit in order to make delicious desserts (see my posting on warm cinnamon apples). So, I decided to see if I could come up with a low calorie recipe for bananas in caramel sauce leveraging a healthy butter alternative. Luckily, I was successful and I'm super excited to pass this recipe along. I hope you enjoy it as much as I've been enjoying it! Low Calorie Fettuccine Alfredo: The calories and weight watchers points for the complete recipe depend on what noodles you use. The sauce itself using fat free cheese and low fat sour cream comes out to 130 calories and 8 grams of fat, so 3 weight watchers points. If you'd like to make a lower fat version, you can always substitute fat free sour cream instead of low fat sour cream, or use a tablespoon less of butter. Delicious Broccoli in Spicy Orange Sauce: I like broccoli but I don't love it (especially raw), so I'm always looking for ways to dress it up so that I can eat more of it. Broccoli is healthy because it is packed with nutrients like vitamin C, vitamin A, folic acid, calcium and fiber, and it is believed to help shield us from many diseases and conditions. Also, I just read that vitamin A and vitamin C help us create and maintain beautiful skin as well! Many years ago I found a delicious (and easy to make) recipe for broccoli in spicy orange sauce in my Mayo Clinic Cookbook. The recipe comes out to only 67 calories per serving, with less than 1 gram of fat, and 4 grams of fiber, so each serving is a delicious and nutritious 0 weight watchers points. 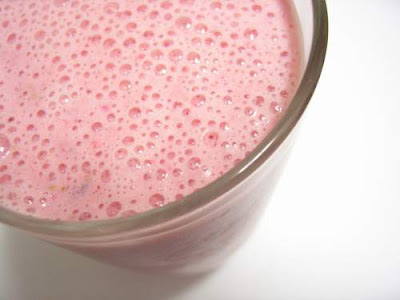 Low Calorie Strawberry Shake: Even though milkshakes at restaurants tend to be quite high in calories, that doesn't mean that you can't make delicious low calorie milkshakes at home using smarter and even fresher ingredients. By leveraging almond milk (or skim milk), low fat frozen yogurt, and fresh (or frozen) strawberries, you can create a delicious and fulfilling low-calorie and low-fat strawberry milkshake at home less than 100 calories per cup! Warm Cinnamon Apples: A while ago I wrote about the many health benefits of apples. Basically, apples are a great source of fiber in the form of pectin, as well as a great source of antioxidants. A friend of mine suggested that I try cooking apples in the microwave, which sounded intriguing. What resulted from cooking the apple with cinnamon was a dessert/snack that tastes just like apple pie! Thanks for the recipe round up! Oh, and did you ask about the egg nog tea? I got it at a small local market near my house. Would you like me to send you a packet or two? Awesome! 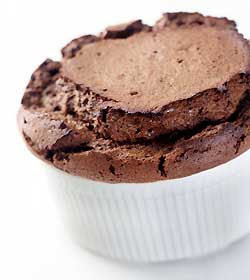 I'm off to print out the low-cal chocolate souffle! These recipes sounds great, thanks for compiling them all together! banana bread is definitely one of my favorite recipes!! i am a banana addict. Everything looks delicious! Especially the tofu with peanut-ginger sauce! It's been bookmarked haha. p.s.- Mustard pickles are bottled pickled assortment of onions, cauliflower, cucumber,peppers and a vinegar/sugar/tumeric etc. sauce. REally good. Happy Holidays!! Thank you, thank you! These are all fabulous recipes. Putting them all in one spot will help me when it comes to deciding what to make. Happy Holidays to you and your family, Juliet! I'm so glad you posted all these! I need something low-calorie after Christmas! Great roundup!!! I want to taste that pretzel pizza! Most of these look like things I need to try. Thanks for such a great list of recipes. I am new to this site and just started to really watch my weight. I love the choice of foods and cannot wait to start makeing them.